Congratulations may be in order for Nicki Minaj. There’s been a lot of speculation today that the rapper may be engaged after observant Instagram followers noticed she was rocking a ring on that finger in a snap. She addressed those rumors with a cryptic tweet that definitely made it look like there are some “I dos” in her future. Now, it’s looking even more likely. Minaj headed back to Instagram to share another photo, this time a close-up of a huuuuge heart-shaped yellow diamond ring. It’s captioned with a bunch of emojis, including a whole bunch of those heart-eyed smiley faces. E! 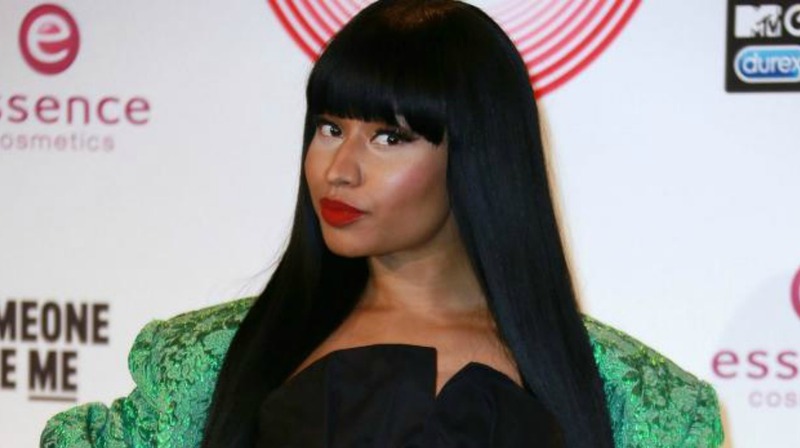 News says an insider close to Minaj confirmed the rapper is, in fact, about to tie the knot. So who’s the lucky guy? Here’s everything we know about Meek Mill,the guy who reportedly put a ring on Nicki Minaj. …but neither was admitting it at the time. In fact, in an interview with Vogue, Minaj refused to say much about him. This risqué Instagram shot told us all we needed to know. “I am,” Mills added to a retweet of the sweet sentiment. Following Minaj’s lead, Mill hasn’t confirmed the rumors that he’s engaged. The above tweet is all the evidence we’ve gotten from his social media accounts. There’s no official confirmation yet, but all signs point to wedding bells for these two. Congratulations, Nicki Minaj and Meek Mills!